Chicago native, rapper Chief Keef’s song Hate Being Sober (Cozart, Jackson, Thomaz & Pittman, 2012) has over 10 million views on YouTube. While some may not be familiar with the rapper, his YouTube views suggest that his music resonates with many of today’s youth. At first glance, you may notice that Keef’s lyrics (see quote below) promote the use of drugs and the disrespect of women. While it is true that his music may have a negative impact on adolescents, the content of his music may provide insight into the cognitions and behaviors of youth that identify with him. For instance, examining, “why does Chief Keef hate being sober” and exploring “what attracts today’s youth to songs like Hate Being Sober?” may provide insight into substance abuse among African American youth. While it is not novel for music artists to rap/sing about drug use/abuse in their songs, Hate Being Sober brings drug and alcohol use among African American teens into sharper focus. Chief Keef raps about how being sober is not a familiar concept to him, as noted in the line “cause we can’t spell sober.” Moreover, the title of the song is very clear about the importance of using drugs as often as possible. The first and second lines above denote the diversity in drug choices that teens have. He describes himself as a marijuana smoker but also mentions a drug that has become increasingly popular in rap music, Molly (a club drug made from MDMA; NIDA, 2013). Chief Keef is also well-known for his trouble with the law; in fact he has spent a great deal of his career on house arrest. Keef was raised in the Englewood community of Chicago, an area well-known for violence and poverty. The poverty rate in Englewood is 42% and it is the ranked the fourth most violent community in Chicago (Chicago Tribune, 2014). The violence prevalent in the city of Chicago and Chief Keef’s lyrics may explain his desire to frequently use mind altering substances. Interestingly, Chicago has increasingly been referred to as “Chiraq” and Illinois as “Drillinois” by local rappers and other youth. It is obvious that youth today see a parallel between the violence in their communities and the conflicts in the Middle East. Moreover, urban youth appear to be coping with their trauma and stressors through drugs which is also similar to many Operation Iraqi Freedom/Operation Enduring Freedom veterans (SAMHSA, 2012). The high rates of poverty and violence among urban youth highlight the importance of exploring the mechanisms and consequences of substance abuse among African American youth (SAMHSA, 2010). Notably, although African American youth have rates of substance use similar to their White peers, they are much more likely to end up in the criminal justice system (Human Rights Watch, 2009). This social injustice may further complicate established links between exposure to violence and substance abuse. For instance, adolescents, who have been physically assaulted, sexually assaulted, or have witnessed violence, have an increased risk for substance abuse/dependence (Kilpatrick, 2000). There is also an association between the use of alcohol by African American youth and engaging in violent behaviors (Xue, Zimmerman, & Cunningham, 2009). This suggests that addressing substance use among youth can influence the escalating rates of violence in African American communities. In the case of African American youth they are subject to the additional stressor of being punished more severely than other ethnic groups and in some cases unjustly harassed by police (e.g., the “stop and frisk” policy in New York City). 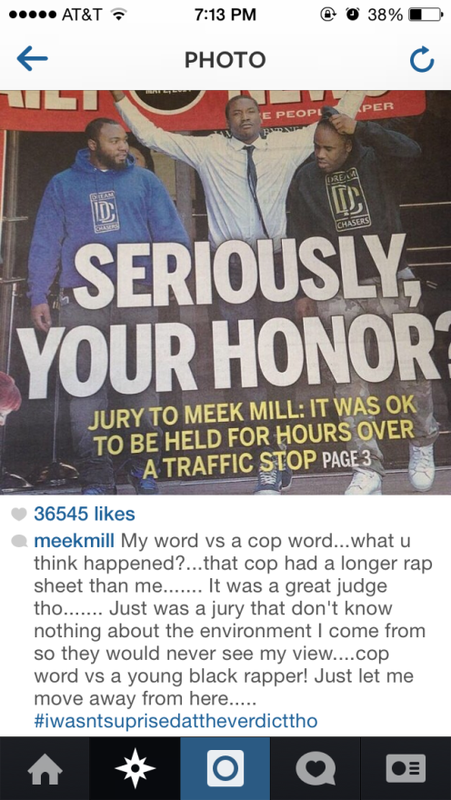 Even rapper, Meek Mill had a recent encounter with the police that illustrates this point. 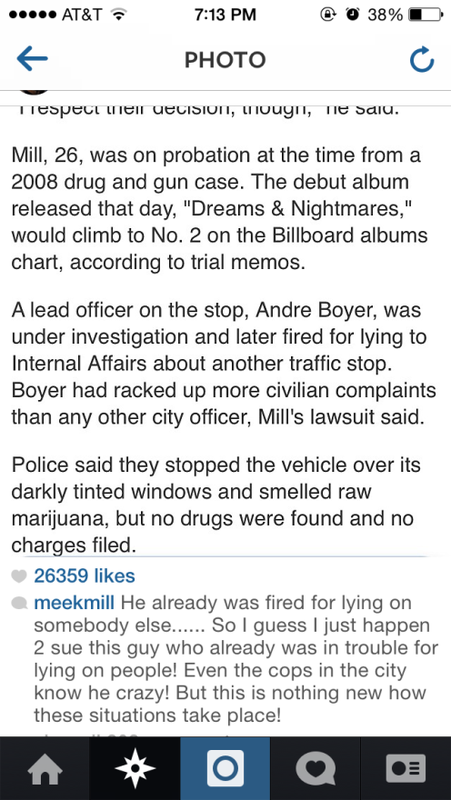 Unfortunately, Mill’s experience with the police is common for African American youth. Discrimination experienced by urban youth adds to the stress of living in communities filled with little economic opportunity, poor schools, violence, and poverty. It is not surprising that youth “hate being sober” given the battles that they face. In addition, to providing insight into the cognitions and behavior among youth, rap music can also be used to engage youth in counseling about their drug use. As a counselor for African American youth on probation, I utilized songs such as “Hate Being Sober” and Juicy J’s “Juicy J Can’t (Say No to Drugs)” (Houston, 2011) to initiate discussions about substance abuse. I was initially alarmed to find out that my clients were listening to this music. However, in my struggle to get them to open up and talk about their substance use, I realized that playing the music in therapy might help. This approach is known as Hip Hop therapy, an underutilized form of counseling that incorporates listening to music, analyzing lyrics, and in some cases writing lyrics into therapy. Utilizing Hip Hop therapy often results into my clients discussing the stressors that drugs and alcohol help them avoid. In many cases the youth are avoiding pain and distress from violence directed toward them, physical and/or sexual abuse, and losing loved ones to violence. These experiences contribute to psychiatric conditions including posttraumatic stress disorder and depression. 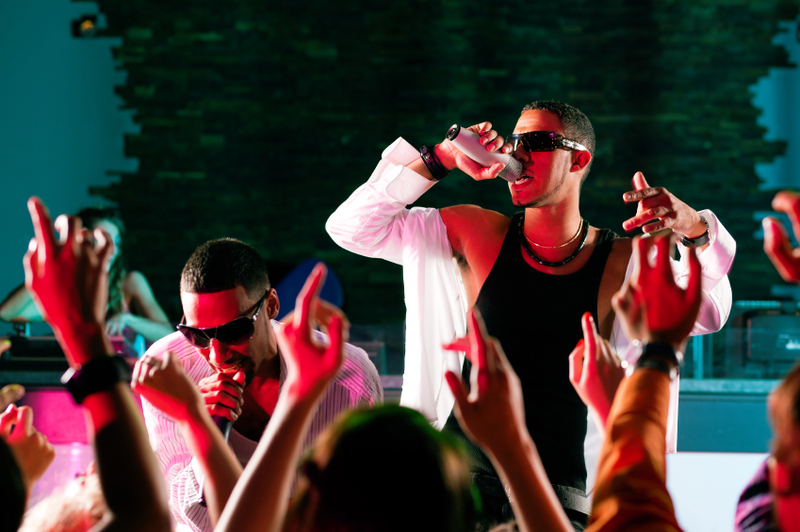 With Hip Hop therapy some youth gain insight into how drugs and alcohol numb their feelings, temporarily alleviate symptoms of PTSD and depression, and promote destructive behaviors. I have used songs by artists such as Kendrick Lamar to help facilitate conversations about how drugs and alcohol numb feelings. In his song “The Art of Peer Pressure,” (Duckworth, Rask & Vestergaard, 2012) he discussed how he used Hennessey to manage his feelings after engaging in violent activities. In the verse below Lamar also articulates the influence of certain types of music on attitude. He notes how a song by Young Jeezy hypes him and his friends up and promotes them breaking into someone’s home (as described in verse 4). As a clinical psychology doctoral candidate and native Southside Chicagoan, I am committed to understanding the surge in gun violence among urban African American youth. I strongly believe that the music that is popular among these youth can be used as learning tool for professionals. Many people are quick to dismiss artists such as Chief Keef because his lyrics promote negative behaviors but I would argue that there are lessons we can learn. This dismissive approach is often taken with the gun violence among youth in Chicago. Popular media is quick to report the weekend death and shooting totals in Chicago, but too few focus on uncovering the factors that lead to violence. We need to direct more effort at providing support for youth who experience trauma and addressing drug and alcohol use. Moreover, we all need to pay more attention to the messages that youth are communicating by the music that they listen to, even if that means listening to Chief Keef. Cozart, K., Jackson, C., Thomaz, C., & Pittman, T. (2012) Hate Being Sober. Santa Monica, CA: Interscope Records, Inc.
Duckworth, C. H., Rask, R., Vestergaard, J. (2012). The Art of Peer Pressure. Santa Monica, CA: Interscope Records, Inc.
Houston, J. M. (2011). Juicy J Can’t. Self-released. Kilpatrick, D. G., Ruggiero, K. J., Acierno, R., Saunders, B. E., Resnick, H. S., & Best, C. L. (2003). Violence and risk of PTSD, major depression, substance abuse/dependence, and comorbidity: Results from the National Survey of Adolescents. Journal of Consulting and Clinical Psychology, 71(4), 692-700. Xue, Y., Zimmerman, M. A., & Cunningham, R. (2009). Relationship between alcohol use and violent behavior among urban African American youths from adolescence to emerging adulthood: a longitudinal study. American Journal of Public Health, 99(11), 2041-2048. Cendrine Robinson is a Doctoral Candidate working towards a PhD in Medical & Clinical Psychology. Her research focuses on utilizing smartphone technology to develop interventions for African American smokers. She is currently completing her psychology internship at the Edward Hines Jr. VA Hospital. Cendrine is specializing in the treatment of trauma and substance abuse. Cendrine is also an advocate of Hip Hop Therapy and has been featured by the Huffington Post and XXL magazine for her work. Cendrine holds memberships in Delta Sigma Theta, the American Psychological Association-Student Representative, the Association of Black Psychologists, the Society of Research on Nicotine and Tobacco and is a founding member of the National Black Graduate Student Association at Roosevelt University. In her spare time she enjoys yoga and traveling. Please feel free to contact her at cendrine.robinson@gmail.com.